Wouldn't you want to give your children a language edge during their summer vacations? I bet you would - and if you are serious about your child's language levels, you should! ESL students in English speaking countries have a significant advantage in their quest to acquire/learn the language. After all, their environment is all English speaking. What about students in non-English-speaking countries? There are always activities that students (or yourself - if you are not a native English speaker) can engage in that will help you practice what you have learned. Songs, books, movies, apps, etc. All good options. However they do lack the consistency and immersion that living in an English speaking country provides. This is where English camps or indeed English schools abroad come into play. Camps, summer camps, language camps, you name it, are always an excellent choice for your child to learn and be distracted during the summer months. Summer camps have always been big around the world. In the past few years these summer camps have been increasing in number and more importantly now include specific themes for any interest. Language camps are now thankfully starting to sprout interest, and rightfully so. After a full scholar year or semester children are ready for fun during the summer. Camps have the distinct characteristic of making sure children have an amazing time while learning and bonding with peers. Who wants to go to schools during the summer, right? With split activities - learning, travelling, camping, amusement parks, etc - English camps are the perfect solution for ESL students. There are quite a few directories out there that list language camps around the world. Pages like Learn4good are excellent resources. 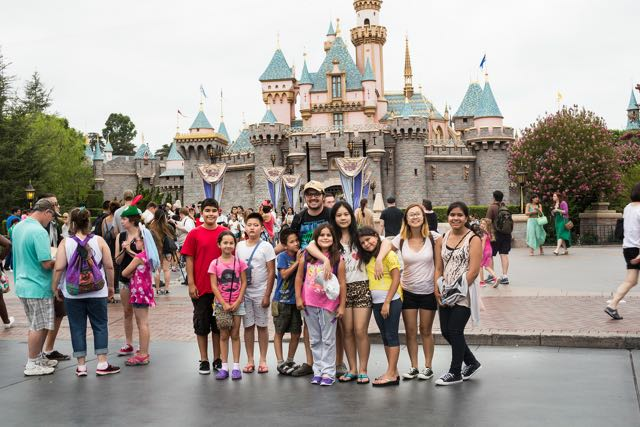 We at the D'Angon Academy are based in California so our English summer camp activities and lessons are tailored around California attractions. However, regardless of the camp your children attend I guarantee that your child will have a blast, incredible stories to tell his/her friends back home and oh, by the way, the language skills will have increased considerably. Ready for next school's semester! Where have you sent your children in the past to improve their language skills? Any plans for this summer?